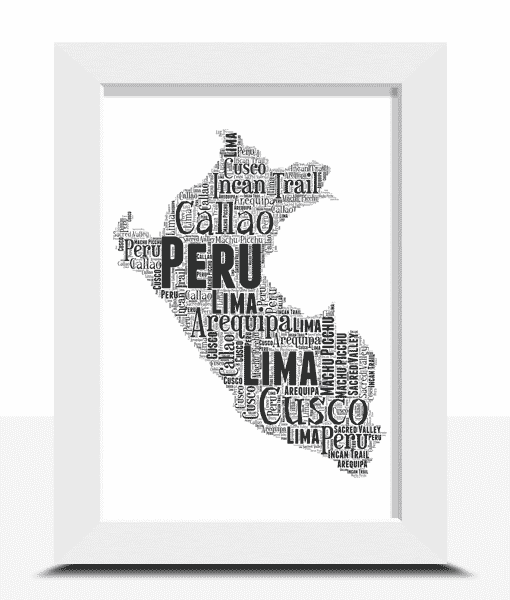 Personalise this Peru Word Art Print with all your own words. 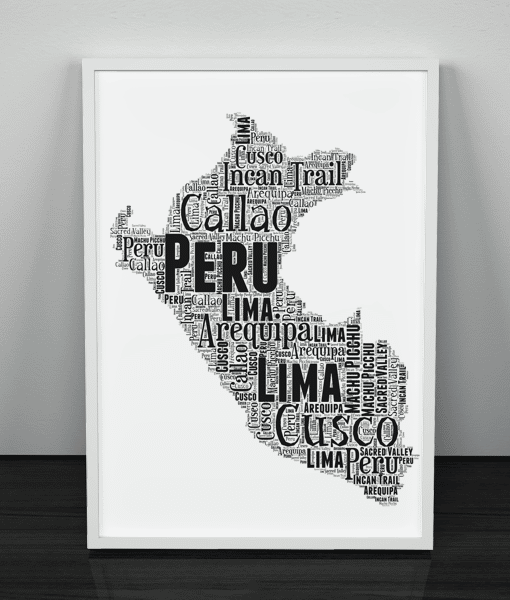 Personalise this Peru Map Word Art Print with all your own words. You can personalised this Peru map with any words you want. 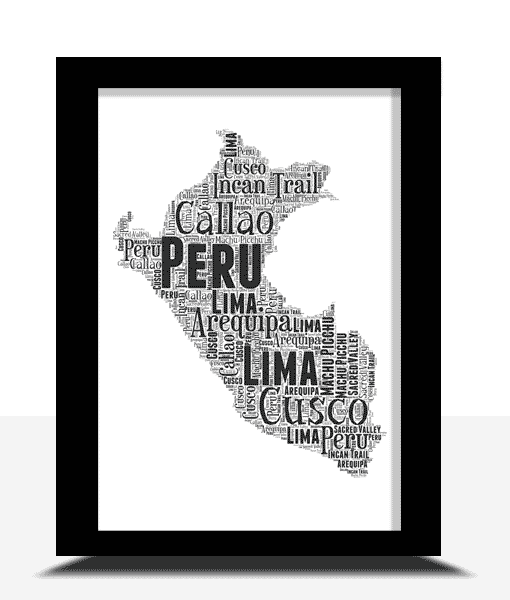 South America, Andes Mountains, Amazon Rainforest, Machu Picchu, Inca Trail, Lima, Sacred Valley, Cusco, Colca Canyon.